Along with Lazio, Napoli have been one of the surprise of the season as they managed to place themselves as one of the threats for the current Serie A leader Ac Milan at least until the year ends. One of the key man for the Partenopei this season is the hot scoring form, Edinson Cavani, who’se goal put his team trailing 3 points behind Milan. Moreover, the victory that Napoli eanerd last weekend against Lecce, once again proved the mental strenght of the squad as they once again earned a late winning goal that decided the outcome of the match. It doesn’t take long to witness the Partenopei’s last minute magic as in the midweek, the Southern Italy side done the same thing in the Europa League, also with Cavani getting in the scoresheet. This kind of results brought the faith into Napoli players’ especially Cavani who believes that his team have what it takes to challenge the Rossoneri until the end of the season especially since they are now only 3 points away from the fashion capital side. The Uruguayan international himself has really proved to be one of the best summer signing in Serie A this season as the striker has been really prolific in scoring goals for his new club this season. 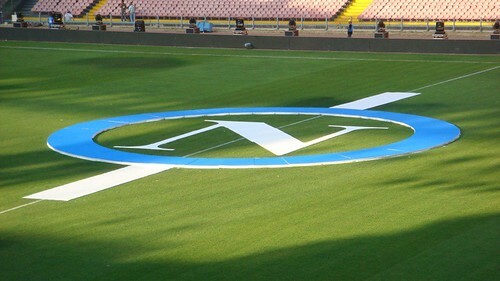 “Can Napoli be the anti-Milan? Yes. Now we have to focus on our holidays and when the break is over, we will continue to do as well as we are now,” Cavani stated. Surely it’s a little early to see the chance of Napoli staying at the top of half on the league table and keeps on chasing Milan, simply because there’s always a good chance that other big teams like Roma, Inter or Juve will play much better after the new year. However, should the Partenopei are able to keep on performing their current display in a much more regular basis, the chance that they can challenge for the Scudetto after sometimes could definitely be on the cards.